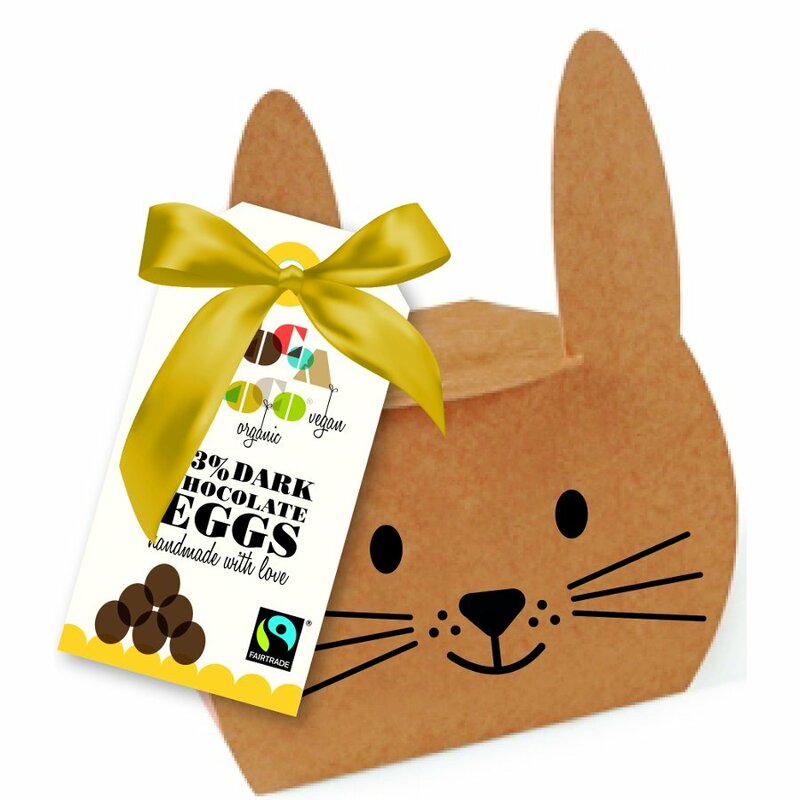 These fair trade and organic eggs are Packaged in a bunny shaped cardboard box with compostable bag which will biodegrade at industrial sites or at home, a perfect gift for any ethical dark chocolate lover. They’re vegan-friendly too, because there is absolutely no milk or dairy products getting in the way of the bold dark chocolate taste of each egg. Bite these solid eggs and taste the rich dark chocolate; made up of a minimum of 73% cocoa solids to keep your mouth watering. The recipe contains zero palm oil and is made up of fairly traded ingredients; earning these eggs the official label of FairTrade certification. 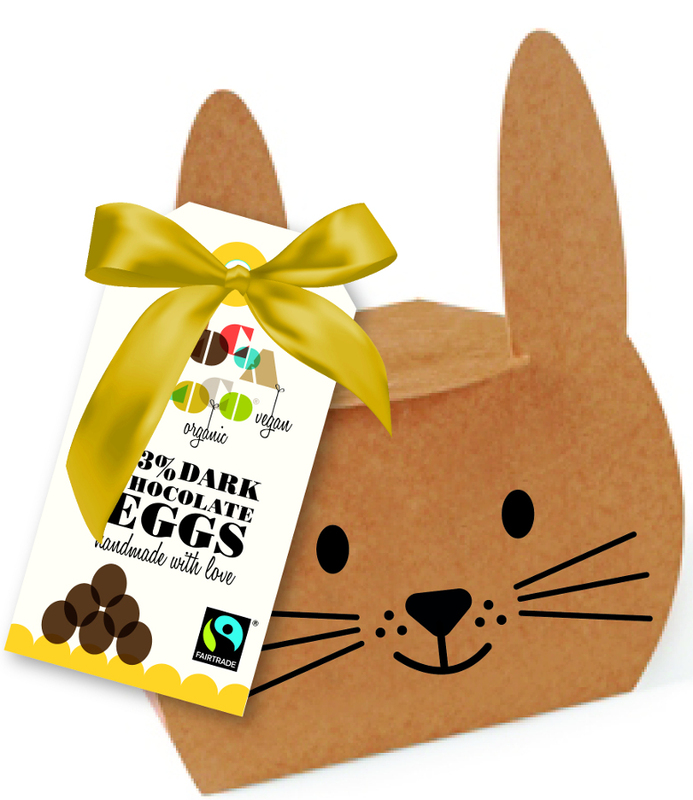 Handmade with love and care, Cocoa Loco have what you need to make this Easter Sunday a special one. Cocoa Loco chocolate is single origin, lovingly handmade in small batches by skilled chocolatiers. It is superb quality, artisan, tasty, scrumptious and although they don’t often enter competitions it has won many national awards. dark chocolate containing 73% cocoa solids minimum (cocoa mass, sugar, cocoa butter, vanilla powder). For allergens see ingredients in bold. May contain milk & soya. The Cocoa Loco Dark Chocolate Mini Eggs - 140g product ethics are indicated below. To learn more about these product ethics and to see related products, follow the links below. There are currently no questions to display about Cocoa Loco Dark Chocolate Mini Eggs - 140g. Cocoa Loco describes itself as chocolate artisans, producing handmade organic chocolate products using fairtrade certified ingredients. Cocoa Loco’s fair chocolate is locally produced as it has been based in the Sussex area since 2005, when it began making organic chocolate. The fairtrade certified chocolate also uses environmentally friendly packaging and is produced in a way to minimise impact on the environment.